The truth is everyone loves free stuff. And not only that, everyone likes surprises. So logically, the two of those together would basically be heaven on earth. This essentially has to be the mentality when fundraising using an almost full-proof method, raffle tickets. Raffle tickets are not only timeless but it’s also a method that is used by almost any sort of organization or institution. Name any sort of organization in regards to fundraising, and I can almost guarantee that raffle tickets have been used. Why is that? Well, raffle tickets are quite inexpensive for the cost of the consumer. Basically, it’s like the lottery, you put a little in and have the chance of having an outcome greater than what you initially started with. With that being said, there are some drawbacks, since a lot of people enter raffles that diminishes the chance you have for winning which is why people usually enter more than once. Overall, however, the pros outweigh the cons. Now the question being proposed is how businesses can utilize raffle tickets for their benefit. Benefit here means increasing not only the amount of customers but the amount of customers who will continually shop from their business. Obviously, the first step would be to have raffles, but I think what businesses are missing is on having raffles regularly. This doesn’t mean having a raffle every week but just having them consistently enough so that way consumers can become more interested in not only the raffle but hopefully the business or retailer as well. With that being said, every prize for the raffle does not have to be the biggest and most expensive but just something that will peak the consumer’s interest. Next step in the key to success on raffles is after having consistent raffles, have one grand prize raffle once in a while. Now for retailers and business that may have a lot of revenue this could be something as big as an all paid-for vacation or for smaller businesses this could be one of the more expensive items that you sell or one that a lot of customers tend to buy or even a gift card to the store. 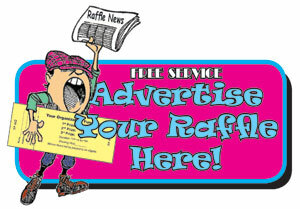 Another option would be to hold raffles that will benefit the community, a community raffle would get people, i.e. consumers, involved and talking. Although the initial input may seem great on the part of the business the amount of revenue that will be generated by such raffles will far outweigh the costs because a lot more people will become interested. By doing this, not too often so as not to go bankrupt, you increase the amount of consumer interest in both the company and products being sold. Finally, once the above steps are done everything will just start to work itself out. When consumers start to see the thought that retailers and businesses put into customer satisfaction and service they will start to come more and more. And when that happens, they will begin to tell others about the company and all the great things they are doing. Thus, more and more people will start to flock to the business and it will continue to grow and grow. And imagine, this all started from just a raffle ticket drawing!